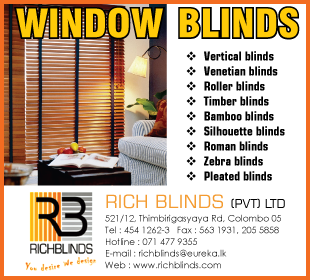 Roman, Venetian, Bamboo, Cotton are words always associated with blinds. Designed not just to keep light and heat out, but to enhance the interior look of a room. They’re not that difficult to make BUT they require precision measurements and stitching if they’re to look good, These companies are where you can find good makers.